Our company takes care of urgent lock and key issues effectively and swiftly via our 24/7 services. Our skilled and experienced technicians are available at any time of the day and night to provide complete professional solution to any problem from minor to major damage. We are proud of the fact that our expertise extends to all locking devices used by households and businesses. Our team provides automotive locksmith solutions as well. Our customers receive services of the highest quality in the shortest time, covering all their lock and key needs. Waiting time is reduced to the possible minimum thanks to our effective organization. We, at "Locksmith Palos Hills", know that when the problem is urgent, there is no time to waste. We possess the expertise, equipment and materials to implement the most effective solution to any issue right on the spot. We are always fully prepared for any job, no matter whether it involves the most basic standard locks or the most advanced electronic device that works with a combination. Our services cover not only swing and sliding door locksets, but also devices used for securing cars, windows and file cabinets. Count on us for resolving issues with safes and door closers as well. Since we keep up to date with all developments in our professional industry, we are capable of opening, fixing, rekeying and replacing even the most advanced devices. Our home, office, car and safe lockout services are among the most widely used on an emergency basis. The access to the property is restored in the fastest way and with maximum precision. The level of security remains unaffected. Our company is readily available to provide any kind of emergency lock repair as well. If your lock happens to be beyond repair, we will replace it with a new one. If you'd like, a better and more secure lock of your choice can be installed as well. 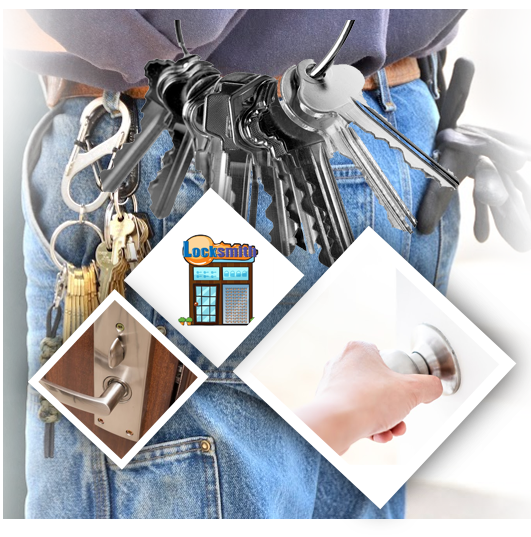 We provide key repair services in addition to fixing locks. Our work is based on the highest degree of precision. We replace keys of all types as well. The list includes even the most advanced devices for car ignition. In general, there is no discrimination when it comes to vehicle brands as well as lock and key brands. Be it a lockout situation, lock repair or replacement – we are at your service. Call us for any of your lock and key needs!